Are you looking to improve your business’s security measures to reduce the risk of theft and property damage? There are steps you can take to protect your assets and minimize opportunities for both internal and external theft. A theft prevention plan should always be your first step. Creating an effective theft prevention plan can help protect your business. This is simply just a way of staying prepared and you can implement it however it fits your business. A plan helps you assess potential risks and can be used as a tool for training your employees. Every business is different and may require unique forms of protection. External theft is committed by someone outside your business. This can be done by a fraudulent product return, shoplifting, or a break-in. 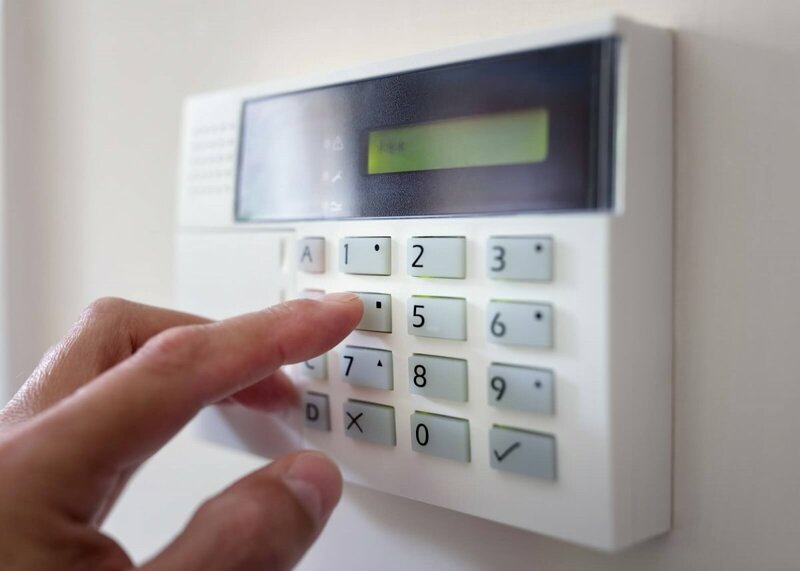 Installing a security system and always responding to security alarms will pay of in the long run. Provide excellent customer service. Attentive and helpful employees can deter customers from erroneously feeling like the business owes them something. Make sure that you can easily see all parts of your establishment. Security mirrors and surveillance cameras will help your employees monitor the premises.Keep track of your inventory and investigate any discrepancies. Be certain to always keep security in mind when making bank deposits. Take care of your deposits during the day and vary the time and the route you take to get to the bank; as thefts are known to stalk their victims beforehand. Internal theft is committed by someone inside your business. This can include embezzlement, employee shoplifting and fraud. Although it can be hard to believe that a trusted employee would steal from you, it is important to take precautions. For starters, check references when hiring a new employee and consider requesting a criminal record check. Develop procedures that minimize the opportunity for internal theft, such as hiring an independent bookkeeper or occasionally checking the books yourself. Check in with employees frequently to stay involved, as a distant boss only provokes tempted employees to be unfaithful to the company. Be sure to separate employees’ duties, for example, the person responsible for receiving cash should not be responsible for reconciling receipts. If there are cash drawers involved, make sure each employee is responsible for his/her own. Be clear and consistent when communicating your policies regarding internal theft and deal with any issues quickly and fairly. Implementing these tips can help you identify risks and improve security. Remember to keep your employees involved and provide them with the tools and training they need to protect your business against theft. At Thayer-Innes Insurance Agency and Freeman Bunting Insurance Agency, we strive to provide comprehensive insurance solutions to support Ann Arbor homeowners. Our homeowners’ policies can be tailored to meet your specific risk exposures and provides much more coverage than a traditional policy, giving you the peace of mind you deserve. For more information about our products, contact us today at (855) 395-6316.